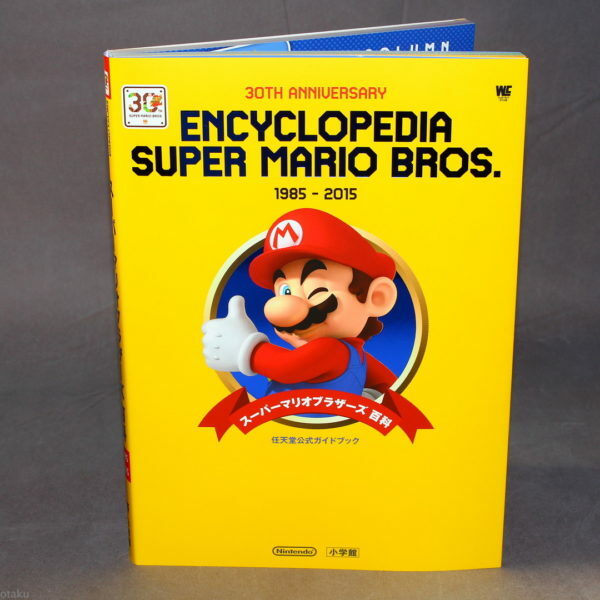 A lot of new details and a lot of new reasons to get excited! Over the weekend, the EU Final Fantasy XIV fan festival was held in Frankfurt and from it came a lot of details for the game’s upcoming expansion, Stormblood. 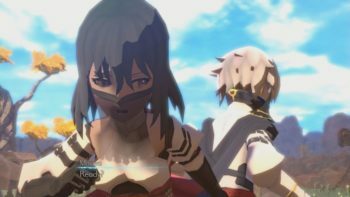 On top of Samurai being revealed as the second, and final, new job to be introduced, it seems we also got a look at many of the new areas, a new beast tribe, and a new primal. 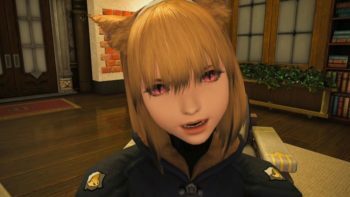 As players embark on their journey to a Garlean-controlled Ala Mhigo, it seems that they’ll also be visiting Doma, the home of the master ninja Yugiri and motley crew of stealth specialists. 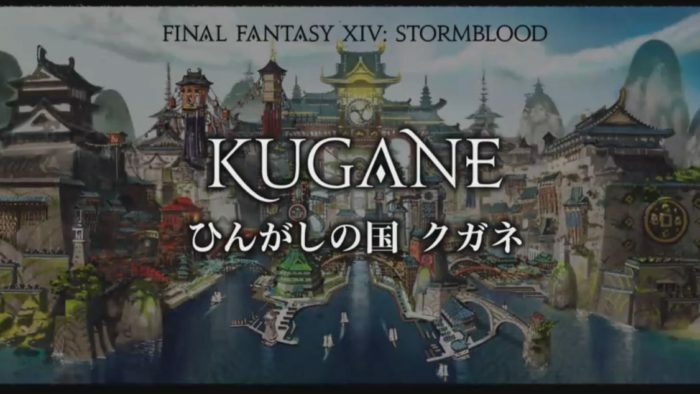 A brand new large city was also introduced to be Kugane. Kugane will be a bustling port city near Hingashi that has, in the past, used a strict isolationist policy which seems to be styled very similarly to traditional eastern decor and architecture. 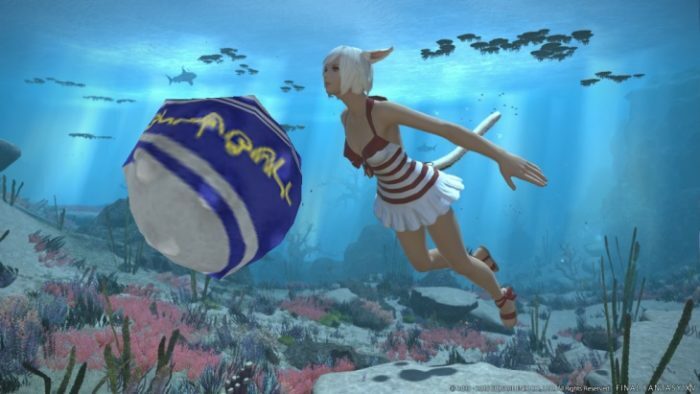 Players will also have the ability to visit the home of the Au Ra, The Azim Steppe, which will mark the first large plains-type area introduced to FFXIV. A huge, Garlean-controlled field area named Yanxia was also shown as well as the the fourth residential area, Shirogane. Like Kugane, Shirogane will be very Far Eastern-inspired, and will be accessible at launch. 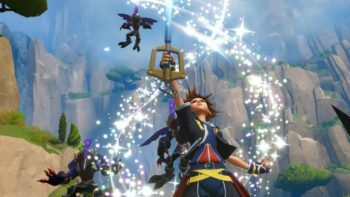 However, players will not be able to purchase houses in the district until later on into the expansion. 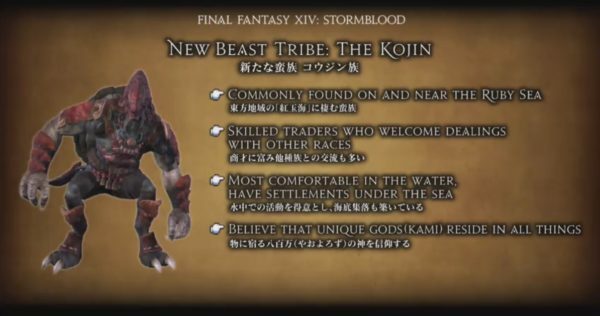 The second beast tribe for Stormblood was also unveiled at the event. The Kojin are a race of turtle-like traders that will be found in and around the Ruby Sea area. 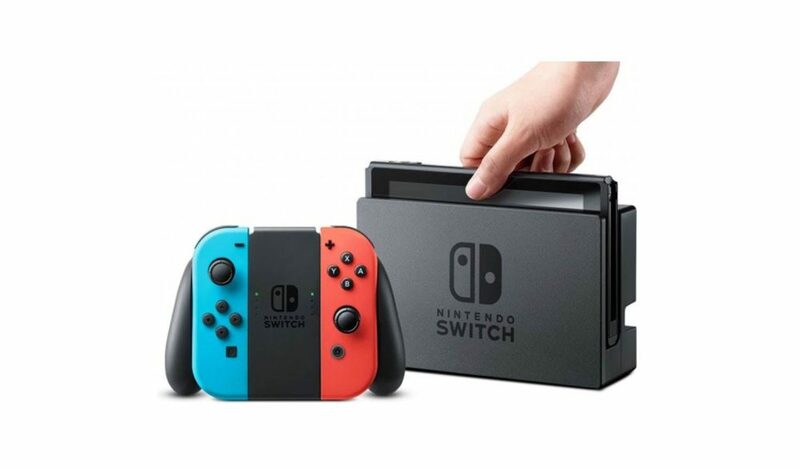 They will be tied very closely to water and will have cities undersea which definitely coincides with the expansion’s introduction of swimming for its players. 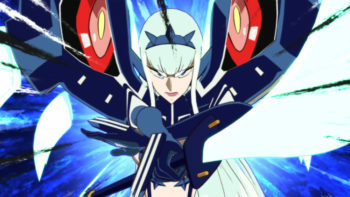 Of course the Kojin come with their own primal to worship. 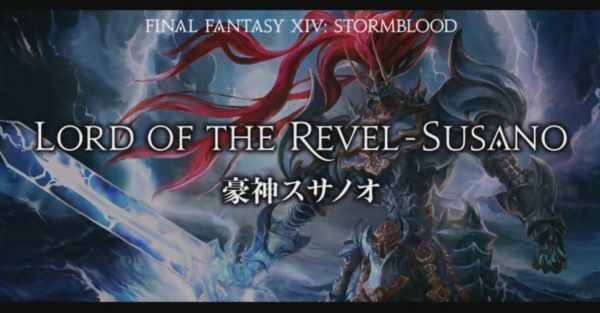 Susano, the Lord of Revel, is the second original primal created for FFXIV and, like the tribe that worships it, will be very closely related to water. Susano will come well equip with fantastic looking armor and a badass water sword, so players can definitely look forward to taking it on. Does this get you more excited for FFXIV: Stormblood? Leave a comment and let us know!